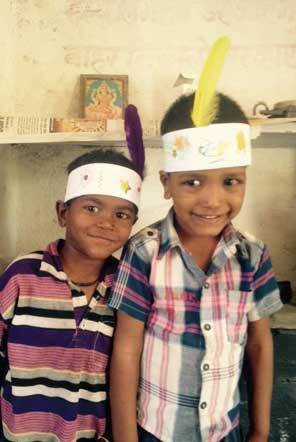 Gaurav and Ravi are brothers who founded the local organisation in Udaipur, Northern India. We chatted with them to find out more about their work and why volunteers are needed in supporting the Child Care and Community Education projects. They have been working with communities in Udaipur and international volunteers since 2008 and are dedicated in supporting local schools, day care centre and community outreach projects. Their vast experience means they give great support to volunteers in helping them settle into their new role and in answering any questions they may have on the local culture. 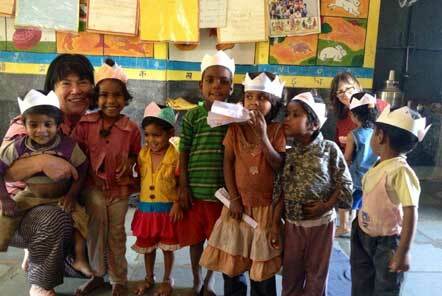 Can you tell us more about the work you have been doing in Udaipur? We have been in the area for over 10 years working with primary schools and communities in and around Udaipur, often in remote areas. The parents of these children have often not been to school themselves, so are the first generation. Our work has always been quite challenging, in the beginning the conditions were very poor in terms of the facilities, resources and staff at the schools. There used to be only one teacher per 5 classes, we have tried to improve education standards in these schools and promote education as a whole. We encourage children to go into school regularly, as many did not before. We have since expanded into new communities, such as the rag-picker slum community. How have volunteers played a part in helping you in what you have achieved so far? As most community schools are understaffed, volunteers prevent children having to sit around waiting to get attention from teachers. It has always been a big help having volunteers to work in these communities to help teach a bit of the syllabus and take the pressure off the teacher, as one less class is requiring their attention at a given time. Often 40-50 students were in one class, in one school there was 150 children with 3 teachers. Teachers cannot possibly give the children the attention they need without extra support. What skills make a particularly good volunteer? All they need is a positive and flexible attitude - not expecting things to be like how they are in your own country! You just need to be prepared to go with the flow, take it as it comes to you, one day at a time. It's not just giving to the children, volunteers get to learn a lot from the kids also. Volunteers don’t need a specific set of skills, they just need to be prepared to experiment and try out what works in a class and what doesn’t. We are always on the scene to help volunteers, support them and give advice and feedback. This assists with any language barriers. We always plan with volunteers in advance and can help the children get more from the classes as they are well structured. A mixture of our experience working with the children and the volunteers’ fresh touch blends together with best outcome for the students. I would like as many children to come into school as regularly as possible, as they are the first generation attending school, it's already a huge step in itself. But there is of course still a long way to go. If the current generation get an education, the next will be much better off – this is our motivation. We want to educate them as much as we can but sadly many still have to leave school early due to family issues. What is the biggest challenge standing in the way of your long term goal? We need more volunteers at our project, with their support we can help more communities and the help can also be consistent. Sometimes, if we do not have enough volunteers, we are unable to work with larger communities. A consistent flow of volunteers can build on the progress of each other. Do you have any advice to anyone considering visiting India? Study a little bit about India and its culture before coming, perhaps read a little. Be open-minded and flexible - this is important to visiting India in general, as well as volunteering. What would you say is the best thing about India? You will meet the friendliest people in your visit to India, it is a very colourful country, you will never feel alone! People are quite helpful in India,….all you need to do is ask for help and they will do anything they can. There is a lot to see, leave your life behind in your home country, and fill your mind with a new culture and experiences. When going to India, get ready for something new and exciting which you will never have experienced before. It may not be the same as at home and it won’t always be easy. If it were easy, there would be no need for volunteers. Once you get through these challenges you will achieve something amazing! Lucy from the Pod Team during her visit to India, volunteered with Gaurav and Ravi and has shared her experiences by writing blogs on the Child Care and Community Education projects. If you would like to support our projects in India, click here find out more about the available volunteering opportunities!